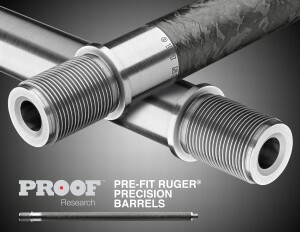 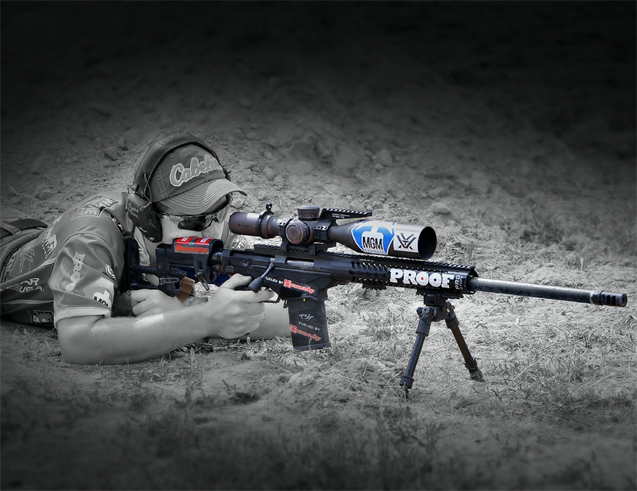 PROOF Research, makers of match-grade stainless steel barrels—and carbon-fiber composite barrels that deliver extreme accuracy, durability and up to a 50% weight reduction—are now offering barrels for the popular Ruger Precision Rifle (RPR) in two different installation configurations (Pre-Fit and Gunsmith-Friendly). “Pre-Fit” barrels for the RPR are available in steel or carbon fiber, arrive ready for installation without further machining required, and are chambered in a choice of .308 Win, .243 Win, .260 Rem, 6mm Creedmoor and 6.5 Creedmoor. The un-chambered “Gunsmith-Friendly” version (available in stainless steel only) comes threaded for the RPR action with a 27” finish length, scaled-down M24 contour, can be had in a number of popular calibers—and is ready for a gunsmith to chamber, cut to length, crown and install.